There is ample evidence to support, although there is also some against, the theory that cyclic AMP (cAMP) mediates the relaxant effects of adenylate cyclase stimulating agents such as β-adrenergic stimulants and adenosine in smooth muscle (see reviews by Hardman, 1981; Kukovetz et al., 1981; Baer et al., 1983). Evidence was also obtained for a similar role of cyclic GMP (cGMP) in relaxation caused by direct stimulants (nitrates) and, more recently, by indirect stimulants of guanylate cyclase, particularly acetylcholine (ACh). 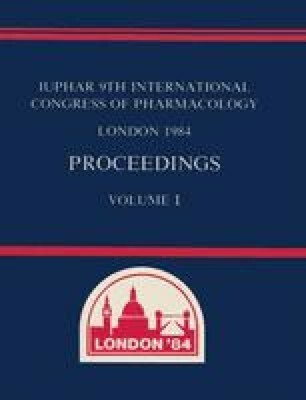 This review will mainly deal with relaxation of coronary arterial smooth muscle and will focus on our present knowledge concerning such functions of cyclic nucleotides in the relaxant effects of stimulants of both types of cyclases including relaxation by prostacyclin and forskolin, and also on their involvement in the relaxant effects of phosphodiesterase (PDE) inhibitors. Some consideration will be given to the mechanisms by which cAMP and cGMP achieve relaxation.